Sunridge Homes Ltd. » I Love my Sunridge Home! I Love my Sunridge Home! I love my Sunridge home…it is well built, spacious and still has the “new” smell. I have had so much fun landscaping, building a deck, and entertaining my family and friends. 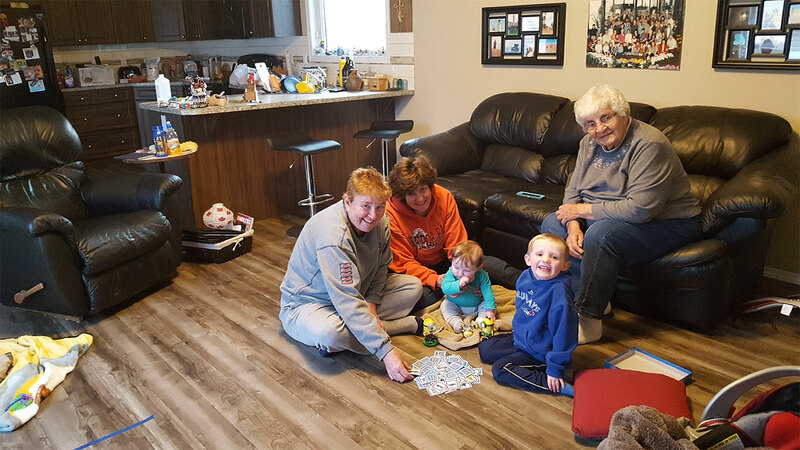 In this picture my Mom, sister and my 2 great nephews are enjoying a game on a break from deck building. The service provided by Janice, Marie, and Brian is top notch. To be able to afford a brand new home was beyond my wildest dreams, but Sunridge made it happen. My mobile was very affordable and the Brentwood location just ices the cake. Thanks Sunridge!